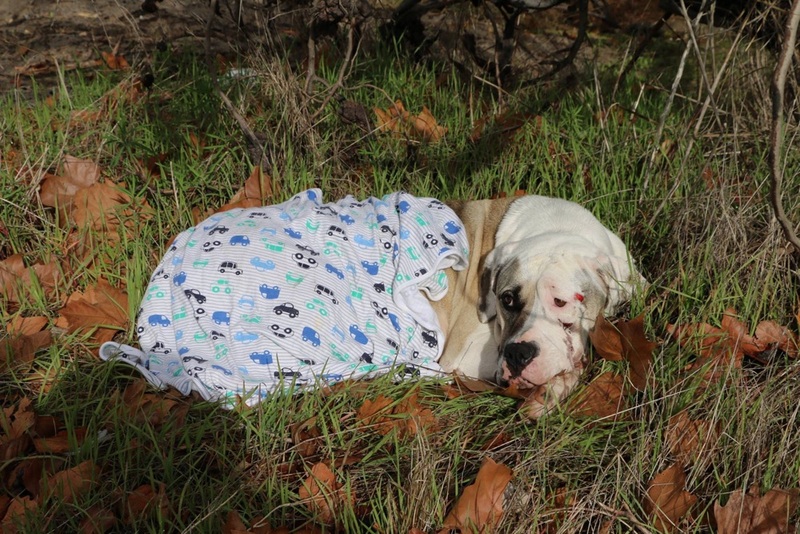 July 13 - Lucy was roaming lost and was hit by a car. While the driver who hit her didn't stop, a kind passer by assumed she was doing the right thing in calling the RSPCA. Someone covered Lucy gently with a baby blanket. 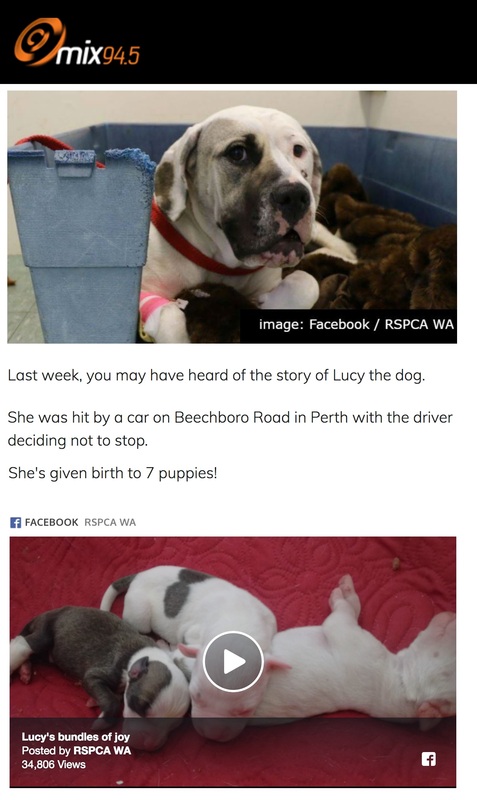 The RSPCA ambulance attended and took Lucy into care. 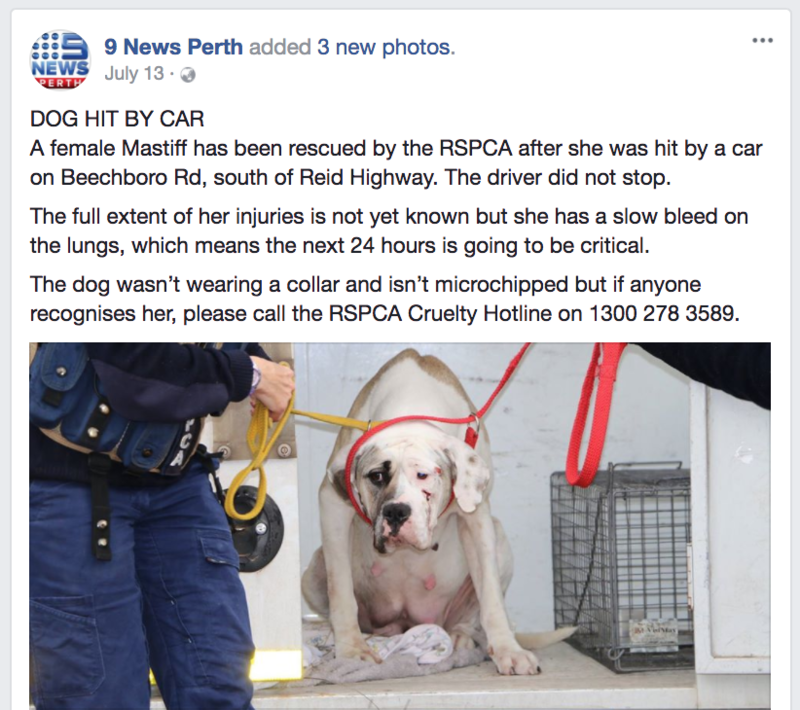 They contacted the Channel Nine news to report on the story and to try and find her owner. Very unwell, this poor lady was in a battle for her life. 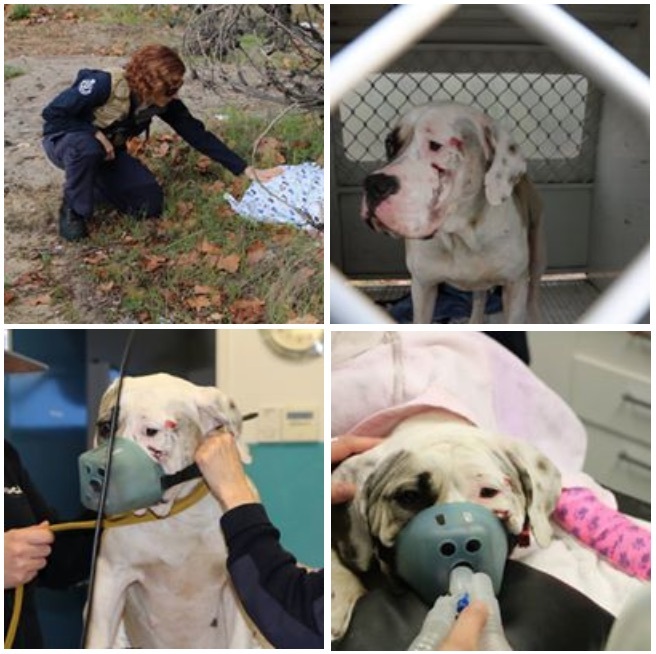 Double leashed and clearly in pain, she was lead into the RSPCA Malaga kennels. 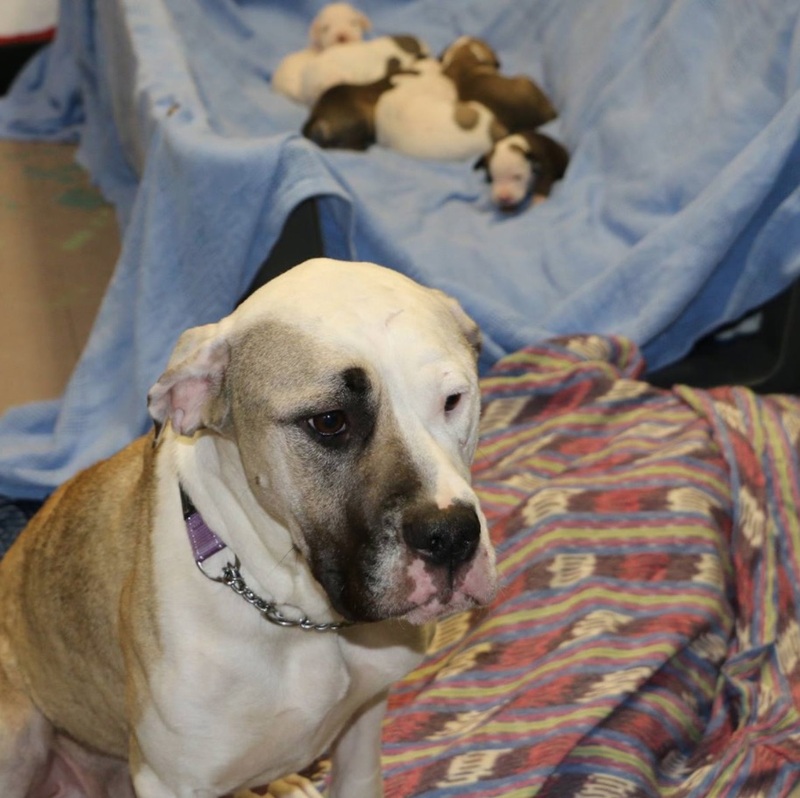 Just seven days later, Lucy gave birth to seven puppies. And being a good mamma doggo, she knew what she had to do. Look after her babies (video). 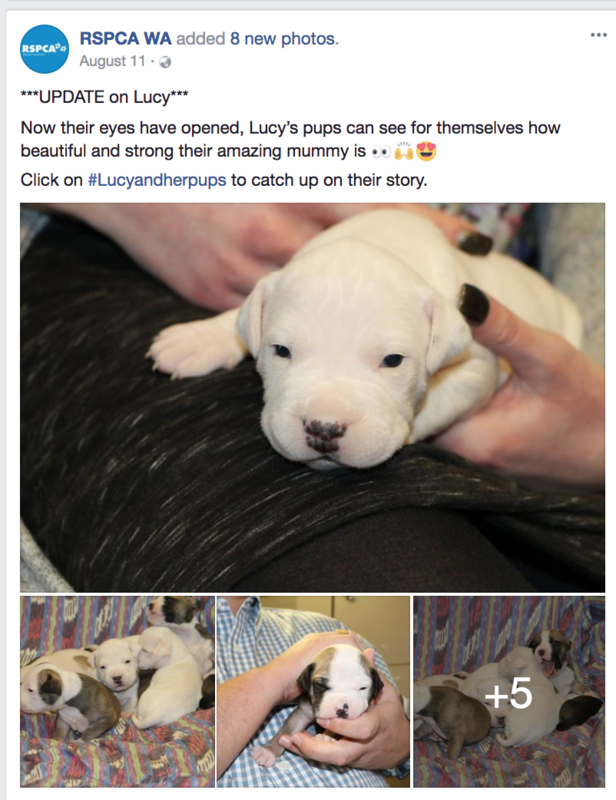 From the beginning Lucy was a media darling, with the community rallying in support of her and her little family. And Lucy looked after and fed those fat little bubbas until they resembled overstuffed swiss roll cakes with button eyes. 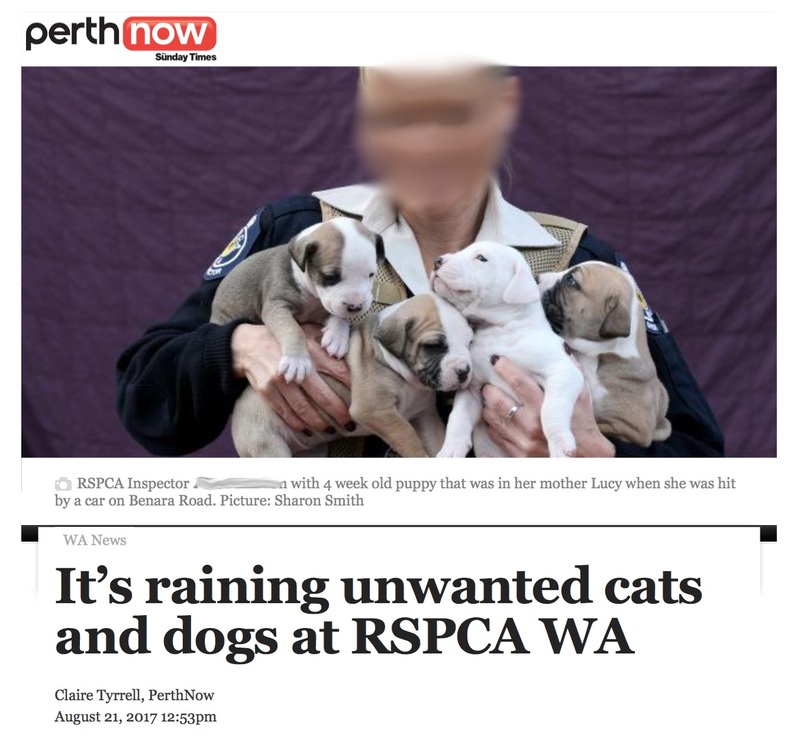 By mid August it was Cupcake Day and the puppies got another taste of the media; this time the major newspaper in WA. On the 13th of September, after two months in care and Lucy's puppies were getting ready to fly the nest. And this is the point where long-term animal rescuer peeps start to get a bit cynical. We try not to. Honestly, we do. We try to assume that the pet involved will be fine and everything will turn out ok. That the RSPCA will do the right thing and everyone will get the care they deserve. Lucy had been in care just two months. She'd been hit by a car. She'd had invasive processes to save her very life. 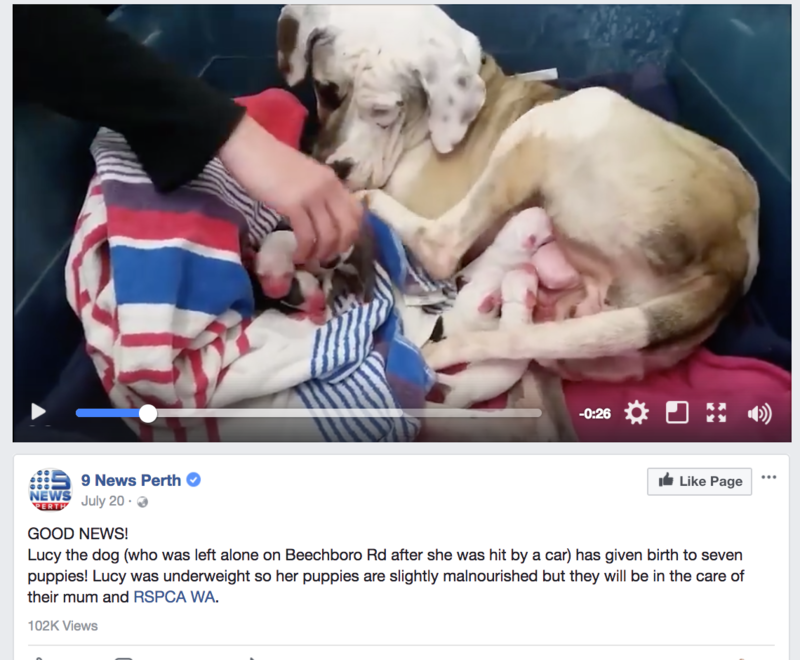 And when that ordeal was hardly even over, she'd birthed a bunch of new puppies and been asked to raise them with love. Then, those little babies were adopted out at more than $1,000 a pop, everyone was happy. 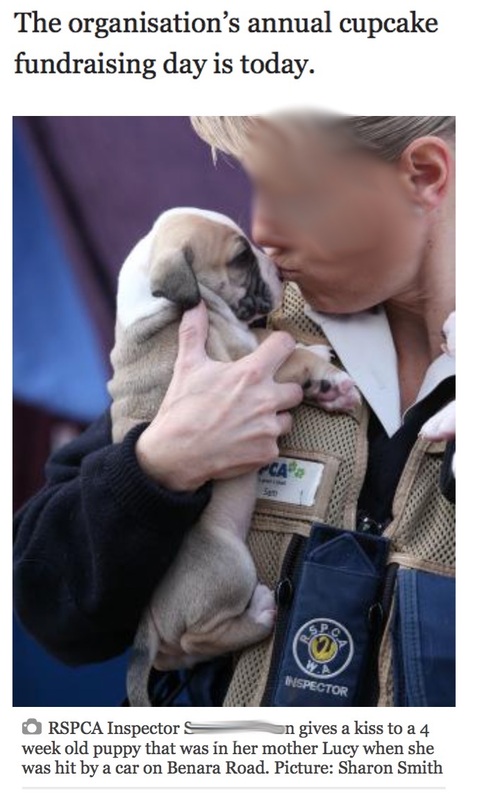 All that was left was for the RSPCA WA was left with a decision to make about her welfare. 9th of October and a smidge off three months since Lucy came into care. It's only one month since her babies have left her. And she's never been more alone. Again, we want to be positive - but the public are starting to get a bit worried. Imagine if instead of saving Lucy, they're going to kill her, a month after they took her babies away. It's almost unimaginably horrible. It would show an almost in-humane regard for animals - some kind of artificial timeline for recovery. Some kind of deadline. But an actual dead-line. As in, if you're not recovered by a time we believe you should be... dead. 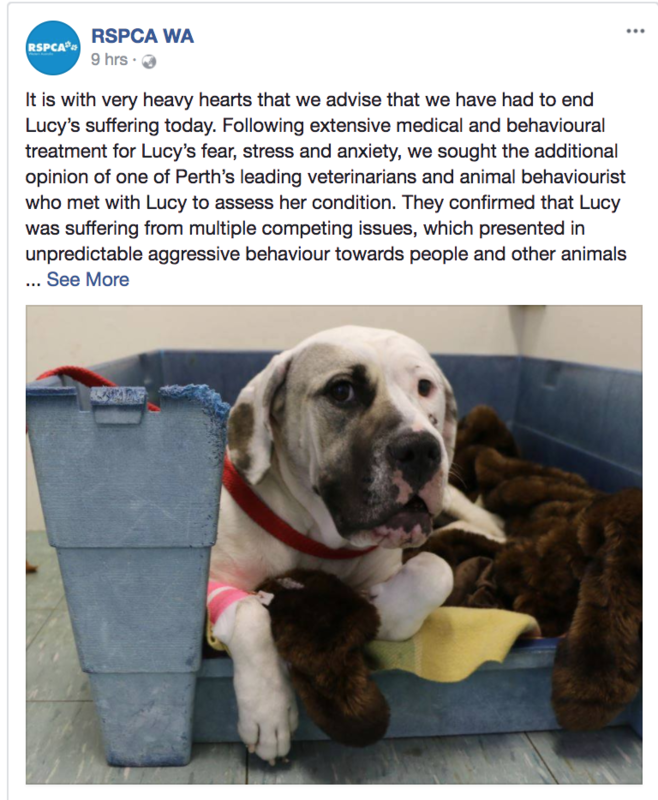 Rescue groups have stepped up and stepped in - please don't kill Lucy. ... and is only just getting the chance to heal herself. Surely the best place for her is to be in the home of a foster carer who can take her through the next stage of her journey; an unlimited time to heal and adjust to being a trusting, socially capable being. She should be allowed many months - if not years - to be allowed her deserved respite. But unfortunately Lucy's fate was sealed in that very first phone call. That day she was hit by a car, Lucy could have gone to a rescue group, who would have worked with her until the point where she could enter a loving home. 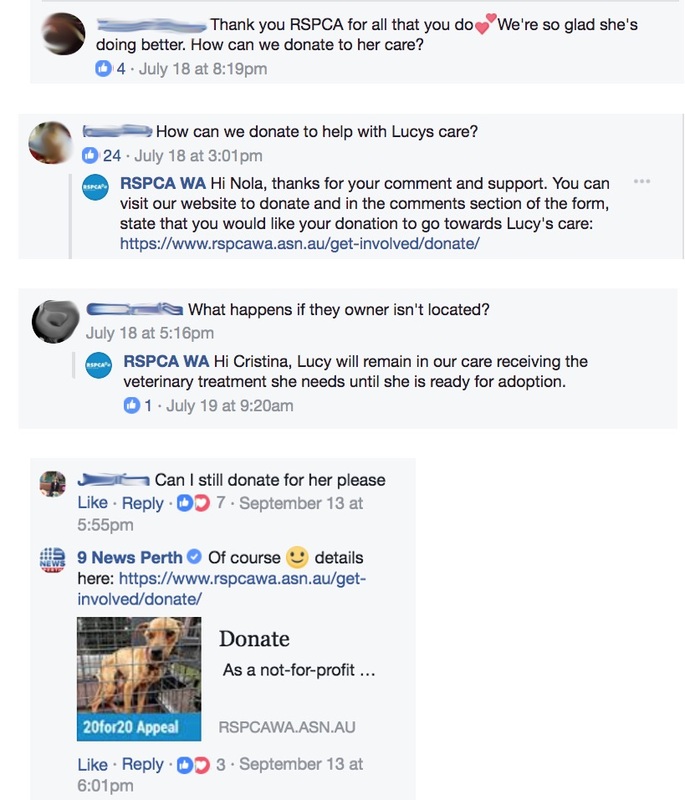 Instead she entered the care of the RSPCA WA. Lucy was killed on the afternoon of the 13th of October - exactly to the day, three months after she went into care. There is no mental illness, human or animal, that can be solved in three months. Let alone with the compounding issues of abandonment and birth. 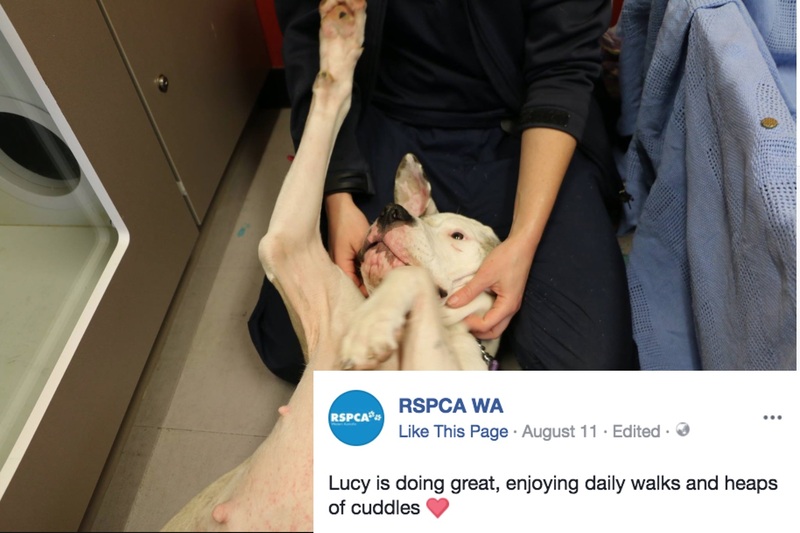 But the RSPCA WA made the decision to appraise Lucy's future based on three months worth of assessments and data - and made the decision that she should lose her life. 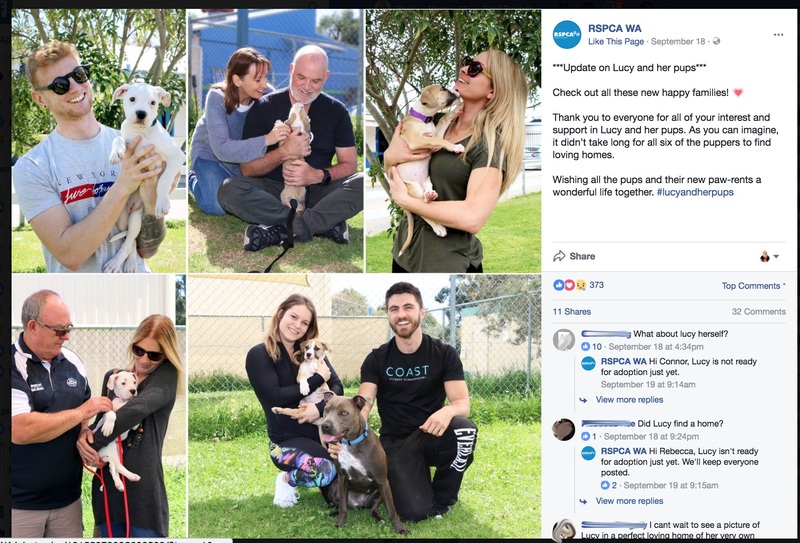 At this point we should assume that the RSPCA WA Malaga location is a failed location for special needs animals, without a lick of compassion for the animals they claim to care for.